In 1992, the government set up the National AIDS Control Organisation (NACO) to oversee policies and prevention and control programmes relating to HIV and AIDS and the National AIDS Control Programme (NACP) for HIV prevention. The first National AIDS Control Programme (NACP) was implemented over seven years (1992-1999), focused on monitoring HIV infection rates among risk populations in selected urban areas. In 1999, the second phase of the National AIDS Control Programme (NACP II) was introduced to decrease the reach of HIV by promoting behaviour change. The prevention of mother-to-child transmission programme (PMTCT) and the provision of antiretroviral treatment were materialized. In 2007, the third phase of the National AIDS Control Programme (NACP III) targeted the high-risk groups, conducted outreach programmes, amongst others. It also decentralised the effort to local levels and non-governmental organisations (NGOs) to provide welfare services to the affected. It aimed at halting and reversing the epidemic by integrating programmes for prevention, care, support and treatment. In 2009 India established a "National HIV and AIDS Policy and the World of Work", which sough to end discrimination against workers on the basis of their real or perceived HIV status. Under this policy all enterprises in the public, private, formal and informal sectors are encouraged to establish workplace policies and programmes based on the principles of non-discrimination, gender equity, health work environment, non-screening for the purpose of employment, confidentiality, prevention and care and support. Viruses with RNA as their genetic material but which include DNA intermediates in their replication cycle are called retroviruses. In retroviruses, their RNA is reverse-transcribed into DNA, which is integrated into the host cell's genome, and then undergoes the usual transcription and translational processes to express the genes carried by the virus. So, the information contained in a retroviral gene is used to generate the corresponding protein via the sequence: RNA → DNA → RNA → protein. Antiretroviral drugs are medications for the treatment of infection by retroviruses, primarily HIV. Different classes of antiretroviral drugs act on different stages of the HIV life cycle. 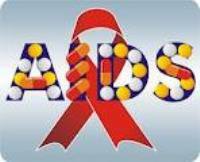 Combination of several antiretroviral drugs is known as highly active anti-retroviral therapy (HAART). 12 Jan 2012 : Red Ribbon Express Ph-III - The Union Health and Family Welfare Minister Shri Ghulam Nabi Azad today launched the National AIDS Control Organization’s Red Ribbon Express Phase III. Shri Azad elaborated that Red Ribbon Express in its Ist Phase, launched on December 01, 2007 by UPA Chairperson Smt Sonia Gandhi, focused on information dissemination. The IInd Phase of RRE in 2009 added the element of counseling and treatment services on board and in its IIIrd Phase now, RRE is focusing on micro planning with exhibitions in IEC vans and folk troupes, particularly in the States of Rajasthan, Madhya Pradesh, Bihar, Jharkhand, Orissa and Chhattisgarh, so as to be able to reach out to public even in the periphery of the districts through which the train will pass. 01 Dec 2011 : Half of HIV patients in Asia live in India - About 48 lakh people were living with HIV in Asia in 2010 and nearly half of them – 49 per cent to be precise – are in India, says the UNAIDS report released on the eve of World AIDS Day. The percentage of pregnant women who tested positive for HIV infection in India also rose from 2 per cent in 2005 t0 23 per cent in 2010. Seven Asian countries report an estimated 100,000 or more people living with HIV in 2009, collectively accounting for more than 90 per cent of people with HIV in the region. India tops the list followed by China, Thailand, Indonesia, Malaysia, Myanmar and Vietnam, though the highest prevalence rate, one per cent, was observed only in Thailand.